Also available in a smaller version pictured on the right. 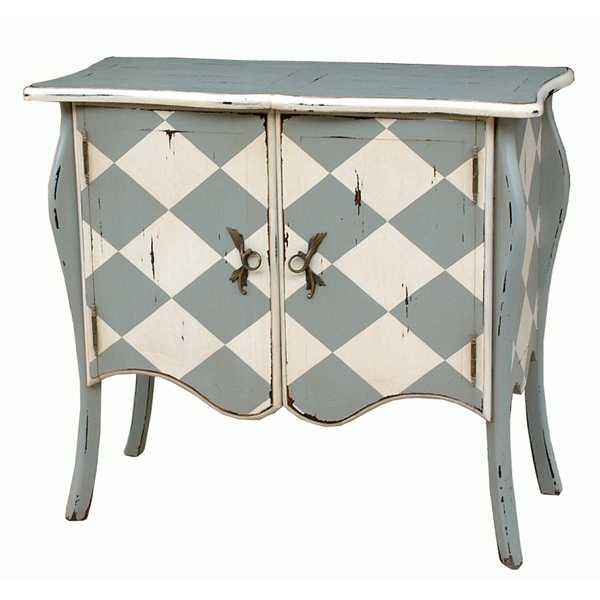 Shown in Grey Heavy Distressed painted finish on main body, Whimsy Artwork A42; diamond pattern, and White Heavy Distressed painted finish on accents. Dimensions and pricing listed above right. Handcrafted from solid premium mahogany. This design is available in 50 different colors, and you may specify light or heavy distressing. Also, this design is available with hand painted art work for no additional cost. Custom is our specialty. Click on the buttons below to see color and art options. Unique and full of character, this Swiss sideboard is sure to be a conversation starter. 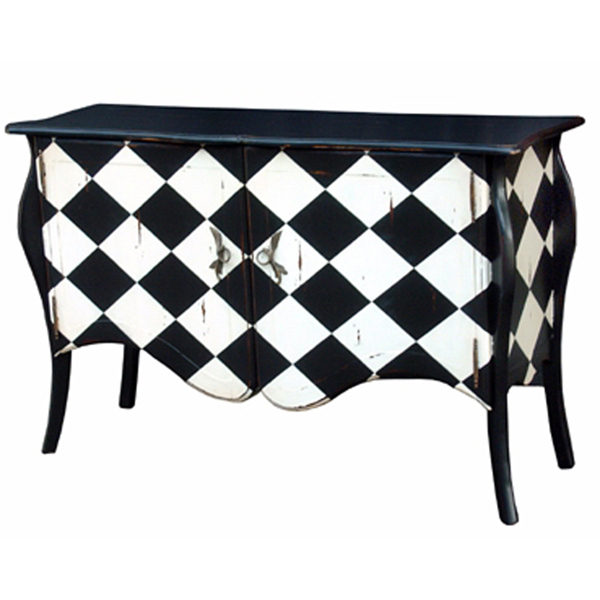 Features two large drawers and curved accents. Shown in Black Heavy Distressed painted finish on main body with Whimsy Artwork A42, diamond pattern. Hardware will be chosen to complement the chosen finish. Handcrafted from solid premium mahogany. This design is available in 50 different colors, and you may specify light or heavy distressing. Also, this design is available with hand painted art work for no additional cost. Custom is our specialty. Click on the buttons below to see color and art options.